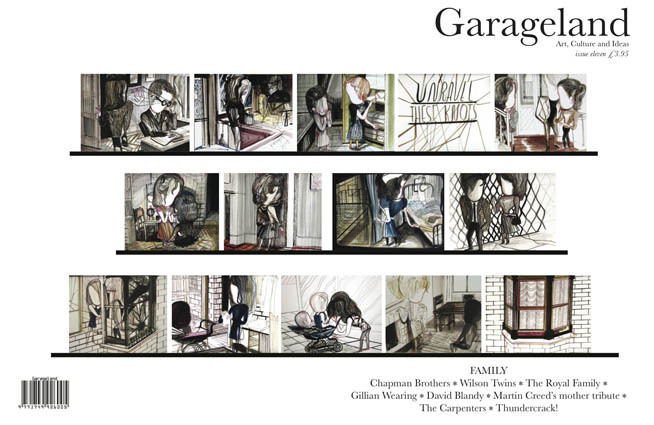 For its eleventh issue (winter / spring 2011) the critically engaging Garageland magazine examines Family. Our last word on family goes to Martin Creed who tells Rachel Potts in an exclusive Garageland interview that he thinks there are far too many artworks memorialising men. He has decided to readdress this in his monumental new work Mothers, which is in his words ‘bigger than anything I’ve done before’.